Mullahs = Ignorant scholars among the Muslims who are responsible for all the bad things you see in the holy name of Islam. Above is a sticker that children use on their books as “label” with the name and class. 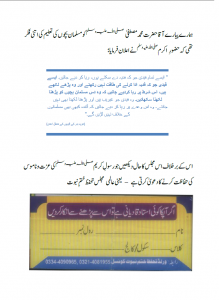 This is being distributed in schools of Pakistan by Majlis Tahaffuz-e-Khatam-e-Nabuwwat (a terrorist organization created in the holy name of Prophet Muhammad(saw) but has actual roots in Majlis-e-Ahrar*). It says on the sticker that if your teacher is “Qadiani” i.e. Ahmadi Muslim, then refuse to get educated from him. *Majlis-e-Ahrar is the same organization that opposed Muslim League during Pakistan movement and was against the creation of Pakistan. Which Prophet do Jamaat-ud-Dawa, Jamat-e-Islami, Sipah-e-Sahaba and Ahl-e-Sunnat Jammat follow? Which Quran do they follow? The Holy Prophet Muhammad(s.a.w) was mercy for all. 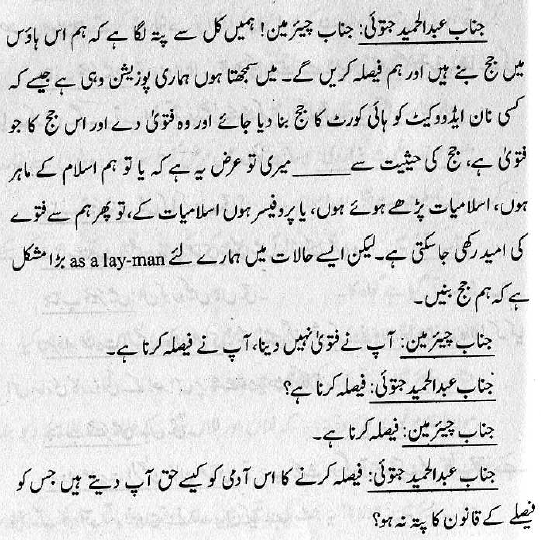 When a delegate of Christians came from Najaran, Holy Prophet allowed them to pray inside his mosque. Holy Quran orders Muslims to protect the Churches and Synagogues. It establishes freedom of religion for all. Which religion do these people represent? It cannot be the one that was brought by Holy Prophet Muhammad(s.a.w). It is not Islam. Thank God I live in Canada where justice was served today for cold-blooded shameless murders of four women i.e. Shafia trial. Long story short, this was one of those “honour killings” which are a result of ignorance & remnants of patriarchal cultures. Once the verdict was given I tuned the hashtag #shafia on twitter to see the reaction of the public. Of course everyone was happy but there was ignorant souls among them including hate mongers who were spreading hate about Islam that this is an Islamic teaching blah blah. Those who have followed the Shafia trial know well that this is not the case and there is no such teaching in Islam. 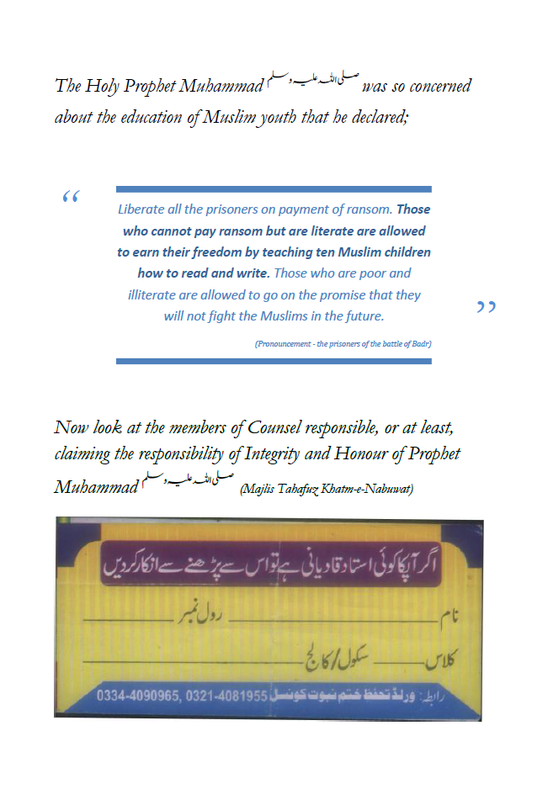 Muhammad Shafia tried to “justify” it by saying “nothing is more dear to me than my honour”. No matter how hard he tried to justify it, there is absolutely no justification in the beautiful religion of Islam. As an Ahmadi Muslim who believes in the Messiah, Hadhrat Mirza Ghulam Ahmad of Qadian, I condemn any and all honour killings. There is absolutely no justification for such acts of violence. In fact Holy Quran clearly says that anyone who killed an innocent it is like killing the whole humanity. Long Live Humanity! Long Live Canada! Does Quran and Islam promote killing of infidels? I wrote this letter in response to allegation on Islam in the local newspaper. It was not published but I’m sharing here for the benefit of Internet community. This is with reference to the letter by Harry Binnendyk dated November 30th. In his letter Harry Binnendyk has quoted verses 9:5-6 from Quran to justify killing of infidels. Unfortunately this verse is also quoted by extremists out-of-context. If you read the Quran in totality, you could not even conceive of such an idea. I am happy to see that Mr. Harry quoted the Quran, the primary source of Islam, but true justice can only be done if you read the Quran in totality to understand its message of peace and love for fellow human beings. I know there is a lot of misconceptions about Islam due to extremists within the religion, but let us educate not only ourselves but also the extremists among Muslims or any other religion to turn their attention to the true teachings of their religion and make peace with each other and work towards uplifting the human values. Joshua Goldstein does not know anything about Islam and is trying to become a judge without any authority to decide who is a Muslim or not. Wow! 2) Calling an open community like Ahmadiyya Muslim Community as cult in itself shows how shallow is Joshua Goldstein (a fake identity) trying to prove nothing! 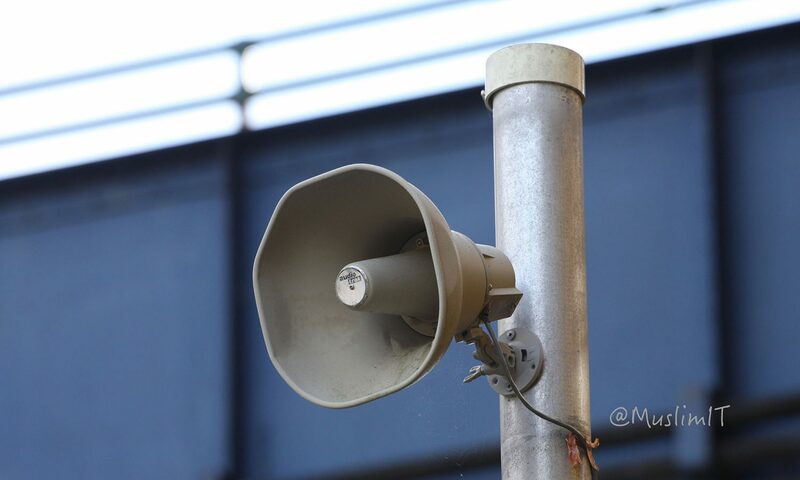 Ahmadiyya Muslim Community is an open community with its mosques open for all people to come and pray. There is nothing cultish about Ahmadiyya Muslim Community, however those who leave the community follow a cult called Anti-Ahmadiyya and follow secret rituals including lying and deceit for the purpose of suppressing truth. Looks like Joshua Goldstein is a member of that cult. 3) The Ahmadiyya Muslim Community has published Holy Quran translation into English and 70 other languages and its translation has been praised to be best by Saudi authorities as well. There is no doubt that different sects will disagree on the translation. However if Ahmadiyya translation defends the Holy Quran and non-Ahmadi translations offend it, then it is pretty clear whose translation should be adopted. 4) Ahmadiyya Muslim Community is at the forefront of defending Islam and Muslims in every part of the world. They do not sit behind computer screens to malign others like Joshua Goldstein is doing here. They go out in public to spread the true message of peace of Islam. I’m myself involved in it so I know first hand. Muslims For Life, Muslims for Peace and Muslims for Loyalty are some of the latest campaigns run by thousands of volunteers of Ahmadiyya Muslims. Nowhere in any campaign any Muslim has been maligned. However if Joshua Goldstein likes to praise terrorists and supports terrorists ideologies and call them Islamic then shame on such people who malign Islam and Prophet Muhammad (peace and blessings of Allah be upon him). Peace to all who follow the guidance. In her letter, Monti Hannona again cites second-hand sources to make her points about Muslims and Qu’ran. That was the whole point of my argument, which she clearly ignored. If Muslims are acting against their own teachings then it is not the fault of Qur’an. Do all Christians follow the teachings of the New Testament and turn the other cheek? How hypocritical to say that those who criticize the Bible or Christians for their atrocities are atheists or pro-Muslims, and those who criticize Qur’an are Muslim scientists? How she negates her own argument within the same letter can only be termed as delusional. Ms. Hannona says the teaching of turning your other cheek does not work in all situations. But this is not how Jesus applied it. Is she creating a new religion? Islam did not spread with the sword. Swords can win territories, but not hearts. Which sword brought millions of Chinese and Indonesians into Islam? It is the beautiful teaching of love and peace that wins hearts. Which sword is converting people to Islam today? Qur’an’s teaching is full of love for humanity. It teaches how to establish social, economic and political peace in our lives. I would encourage you to use the primary source of Islam to shun the extremists instead of promoting their corruption. I hope you will give me a chance of free dialogue that we so much enjoy in Canada and allow me to respond to these letters, instead of publishing one-sided hate propaganda. As an Ahmadi Muslim who has read the Qur’an from cover to cover, let me explain my understanding of Shariah law to those who have not read the Qur’an and use second-hand sources, or unfortunate malpractices of some cultures populated by Muslims. 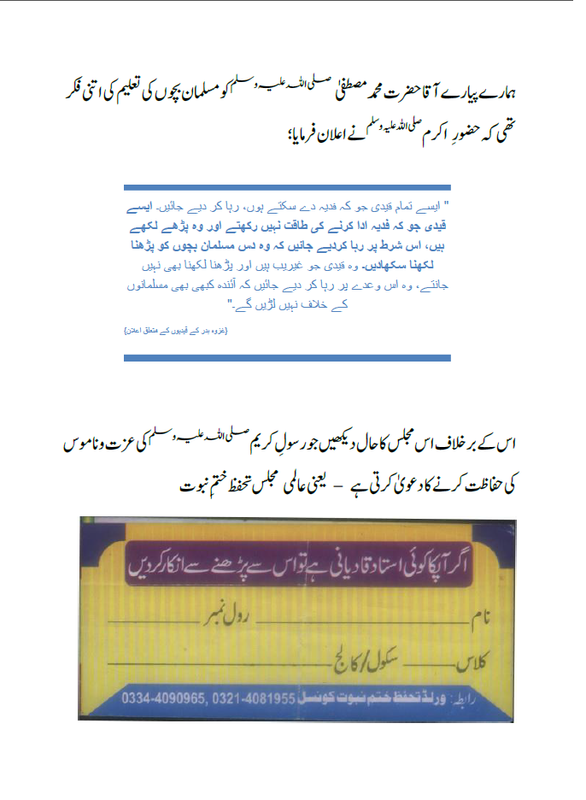 Ahmadiyya Muslim Community has a clear vision to educate both Muslims and non-Muslims alike about the corruption that has crept into practices of Muslims in the name of Shariah, many of which are cultural practices of pre-Islamic era and have no basis in Quran. In Islam, Shariah is comprised of five main branches: behaviour, morals and manners; ritual worship; beliefs; transactions and contracts, and; punishments. The source of Shariah is only Qur’an and the conduct of Prophet Muhammad. Anything else introduced by corrupt clergy over the time is not Shariah and has no basis in Islam, no matter how hard you try to justify. Shariah law does not in anyway contravene Canadian laws because Shariah is not imposed on any unwilling person, not even on Muslims. The Qur’an has clearly put forth fundamental principle by saying ‘There is no coercion in religion (2:257)’. I wonder why Monti Hannona failed to mention this clear verse of the Qur’an? Ignorance of the actual teachings of Qur’an and the conduct of Prophet Muhammad, and on top of that cultural practices by some ignorant Muslims, which are highlighted in media, has created this scare about Shariah that it is some draconian law that will take away freedoms and liberties and force us into dark ages. All this is just borne out of ignorance. Being a supporter of democracy means promoting knowledge and making informed rational arguments based upon knowledge and wisdom, rather than fear-mongering. I’m shocked to read such absurd allegations are being made about Islamic teachings by Ms. Hannona in her letters with no reference to source. If everyone starts attributing disgusting and criminals acts by some people to their religion, what kind of justice will that be? Just look around yourself and see what followers of other religions do. Are they following their scriptures? It would be a shame to attribute them to their scriptures. Ahmadiyya Muslim Community is working all over the globe to advocate equality, education and empowerment of women. Contrary to the allegations of those who have not read Qur’an, Islam does not allow honour killing. Prophet Muhammad said the best among you is one who is best in treatment to your family and he showed it by his own example. He also said that love of your country is part of your faith. We love Canada and stand on guard for it. It is not only our civic duty but religious duty as well. Anyone who thinks or acts otherwise is not following the true teachings of Qur’an. Anywhere Muslims are creating discord in the name of Islam, they are in fact acting against the true teachings of their own religion. Qur’an is an open book and I invite everyone to read it first before making judgment calls. As regards to persecution of Ms. Hannona in Iraq, may I inform her of the persecution of Ahmadiyya Muslim Community in Pakistan and other countries. Is that persecution because of Islam? Yes, but it is not supported by Islamic teachings. Ahmadi Muslims are being persecuted in these so-called Muslim countries because we represent the true teachings of the Qur’an. Iraq’s or Pakistan’s pre-Islamic cultures of intolerance have nothing to do with Qur’an or Islam. Instead of spreading hate, we should promote knowledge. I have personally faced persecution in Pakistan at my school, at my university and at my job. I know first-hand where that persecution comes from. It comes from ignorance of the true teachings of Qur’an. Ms. Hannona calls Canada a Christian land. Canada is a pluralist and secular country. If she wants to make Canada a Christian land, she is doing exactly what Mullahs are doing in Pakistan and Iraq. We came to Canada because of the Charter of Rights and Freedoms. Qur’an and Islam supports it. If Ms. Hannona’s Iraqi culture is against it, we welcome her to Canada to live freely. Once installed you’ll have a utility called svnnotify. where # is an actual revision number. And you’ll receive an email notification with details of that particular commit.